Want to start a Food Truck Business? 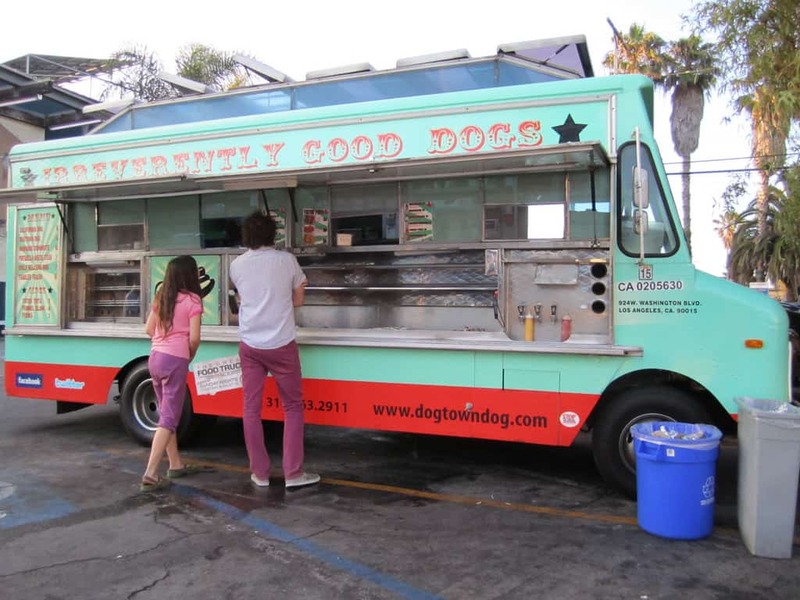 Depending on where you’re located in the US, you may notice the growing trend of food trucks. The Providence Capital office is based in Southern California which has become a breeding ground for food trucks. Many food trucks become some sort of a testing ground for eventual gourmet restaurants. While they’re predominately found on the west coast, the is picking up on the east coast and can be found in places like Milwaukee. One notable example is LA chef- Roy Choi. He started a gourmet fusion taco truck influencing the food truck movement nationwide. Chef Choi is know as the Godfather of food trucks. Roy Choi is featured on the Food Network and maintains a fleet of 4 trucks. When you take into account his success, it’s not hard to see why these trucks are popping up all over the US. Mobile food trucks and carts are solutions for people looking for inexpensive and quick meals. Employees today, lead busier lives while and have a strict time limit with shorter lunches. It’s not uncommon to use your lunch break to catch up on work or get errands done. Food trucks are versatile and can appear anywhere, allowing convenience to be their major selling point. Why is now a good time to start? Why start a food truck? It’s a great entry level business. 84% of Food trucks are run by the owner and 78% have 4 or less employees. This means minimal overhead and depending on what food is being served, you may not even need multiple employees. Whether you choose to make simple foods like burgers, burritos or hot dogs to more sophisticated foods like gourmet burgers or velvet cupcakes; these versatile vehicles can handle it all. This movement is gaining popularity, it’s even inspiring separate events. These events gather food trucks and kiosks together for one convenient eating experience. So now the question is how to get in on the action?! We’ll take a look and walk you through it and see how much it costs to get your own truck up and going. Permits and Local Laws: Check your local laws before all else. Some cities restrict food truck access and others require permits in order to operate. If you’re caught operating your food truck without permit, you may receive a fine. There are sometimes even weird city ordinances like trucks cannot be parked for more than an hour. Note: You will need an inspection on your truck once a year by the health department inspector, so make sure to use safe food handling practices. TIP: Finding used food trucks are a very good option. 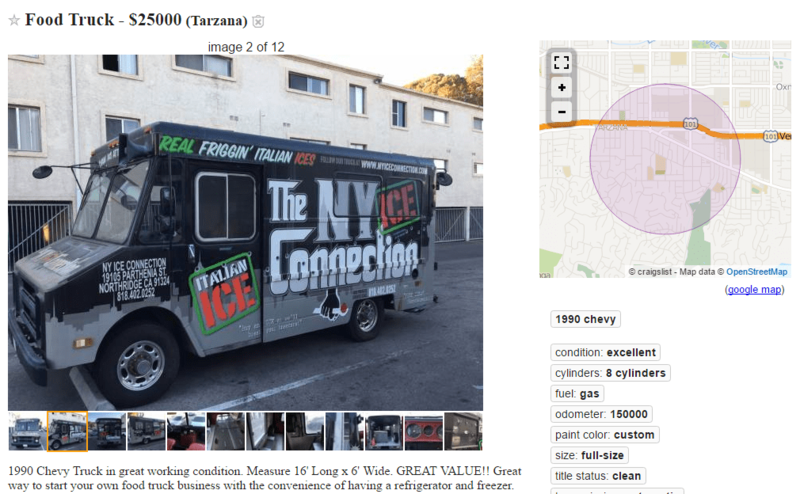 A close friend recently found an outstanding condition food truck for $30,000 in Arizona. The truck a perfect fit for his needs so flying out and inspecting the truck before a 5 hour drive back to CA. Look outside your comfort zone on Local Classifieds online. Leasing is also a very cost friendly method of getting into the industry. You can get great equipment for a fraction of the purchase cost. Just be mindful of what type of lease you’re getting yourself into. We have experience funding vehicles from 15k-100k and can even include equipment from some of our many vendors. Insurance, Payment Processing, and Misc Costs: Plan for the unexpected. Getting proper insurance for your truck is important. It’s better to have adequate insurance when accidents do arise. Also having a good payment processor will ensure you get paid when no one has cash! There’s no shortage of Payment Processors that attach to your smart phone, so there’s no excuse to leave sales on the table. We recommend checking out the experts over at Insure my Food. They’re an insurance agency that deals primarily with the food truck industry. Food trucks are their passion and they have an abundance of relevant resources. Inventory: After you finalize your permits and getting your actual truck. You’ll need to get proper inventory, if you’re going to be making pizza, you’ll need plenty of dough and pizza sauce. Make sure to set aside money for your inventory, it can be as much as $1000 for the month! Location: Where are you going to park your truck, consider areas with high traffic during lunch and breakfast hours. Here are some general ideas: Office parks, Malls, Popular Tourist Locations, College Campuses and Sports venue. Be on the look out for special events and conventions, they can be extremely lucrative if there’s no other food options near by! We hope this article helps you with your start in the food truck business! This article is to only give you a basic idea of what you’ll need if you do choose to start. Make sure to email us or tweet us any feedback. If you’d like additional insight into this business, we highly recommend reading this article from Food Truckr about other owners insights!